Check Out The Latest Pulp Musings by The Shoppe's Daryll B.! 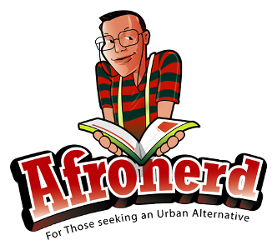 (Part 1) - Afronerd: The Blerd Revolution Has Begun! By now you all have probably figured my likes and dislikes when it comes to comic books, TV, and film. For those uneducated souls, let me give you a little handy cheat guide as to the things I need to be solidly behind a project. 3. No Faze. No Fear. No Panic. Too Many Cooks? If I dig the direction of a book/show and the rest of the world doesn't, I really don't care. The more the artists/actors buy in to tell their story without changing to suit public opinion, the better the project is. For an example, look at Heroes. If Tim Kring stuck to his original vision, I think we would be talking about a television classic instead of a cautionary tale about how not to follow up a show's initial success. So with that being said, this past week of Daryll TV was AWESOME! Everything popped off my screen, including a great lesson of using continuity to a storytelling advantage from probably the most unexpected source you can think of. Mid-Season Finale of The Flash was great for me until the final scene. The fight between Reverse-Flash? and Flash popped off my screen. The Firestorm teaser/introduction was great and the typical CW romantic melodrama was integrated into the story quite well. However, that last scene with Harrison Wells felt so rushed to me. Ironically so for a show called The Flash, but we could have had viewers guessing for at least another half season more. That reveal felt like movie Sinestro putting the yellow ring on for no good reason..... Still, all the actors/actresses on the show are beat perfect. This is the show for jaded comic book fans who are looking to rekindle their fire for the medium. Agents of SHIELD caused the biggest reaction out of me...and that's a good thing. We get the answers about Skye's origin, the artifact, and a little something about the mysterious city. But in doing so, the team definitely lost a member and quite possibly 2 to the machinations of the city. It been a week so now I can reveal that in the process of Skye (Daisy) getting her birthright/powers, their activation causes the death of Tripp. I was heated because a) he was finally starting to get development, b) he was one of the few black characters on the Marvel side that wasn't stereotyped YET was a legacy character, and c) c'mon. Who DIDN'T have fun seeing Coulson geek out everytime Tripp brought out a Howling Commando device? Sigh... here's hoping he got Sandman type powers and will return. Here's my surprise: who knew that SOUTH PARK of all places would show us all how you can use a season's worth of plots/events and weave them together for a satisfying season finale. From Randy as Lorde to Cartman as Trans-Gender to the Washington Redskins to HandiCar, everything from this season got referenced (rehashed) in a brisk 22 minutes YET they still had time to rip on social media addiction and current police controversies. If this was the rumored end, I can't imagine leaving on a higher note. *whew* That's it for now. 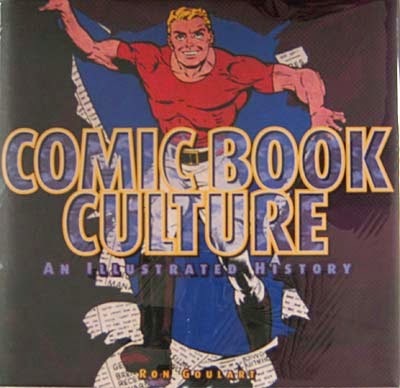 I still have a review link-blog and thoughts on Constantine and The Librarians coming up this week. That's what I get for taking a week off..lol Thanks for reading and until next time, Keep Fantasizing!